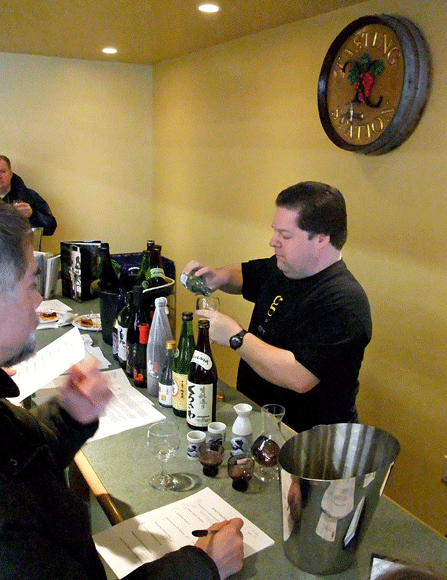 North Andover is slightly outside our usual territory, but we heard about a kikishu, or saké tasting, at the newly opened Wine ConneXtion and headed there on Saturday to see what it was about. The tasting was hosted by local blogger Richard Auffrey of The Passionate Foodie, and it quickly became obvious that one of the things Rich is passionate about is saké. He had eight bottles available for tasting, and he expertly explained the ingredients and processes involved in making each. We enjoyed exploring the surprising range of tastes provided and learning the differences between the Ginjo, Daiginjo and Honjozo. If your only experience with saké is sipping it warm at a Japanese restaurant, it’s time to take another taste. The sakés we tried ranged from earthy to crisp and clean, some akin to a very dry white wine that would pair exceptionally well with any seafood. Most of them were subtler on the palate than the nose would lead you to believe. 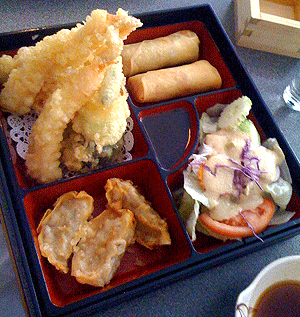 Favorites included the Kurosawa Jun-Mai Kimoto ($16), which was earthy and hinted at mushrooms, and the Ichishima Honjozo ($22) which was bright and crisp. LaRosa’s in Andover provided quite a spread of finger foods, and the crowd favorite was definitely the wonderful arancini. 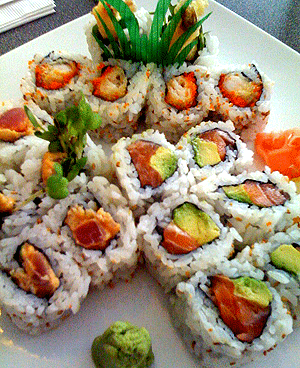 You might not initially think to serve a Japanese wine with Italian food, but some of the offerings paired quite well. Whether you’re a casual wine drinker or a serious enthusiast, the Wine ConneXtion is definitely worth investigating. Owners (and siblings) Sam and Tina Messina, who have been in the business for more than 20 years, really know their stuff, with Sam finding unbelievable deals and Tina streamlining the operation to make sure those deals get passed along to the customer. It’s a large, clean, well-lit warehouse-style space with fantastic inventory and unbeatable prices. 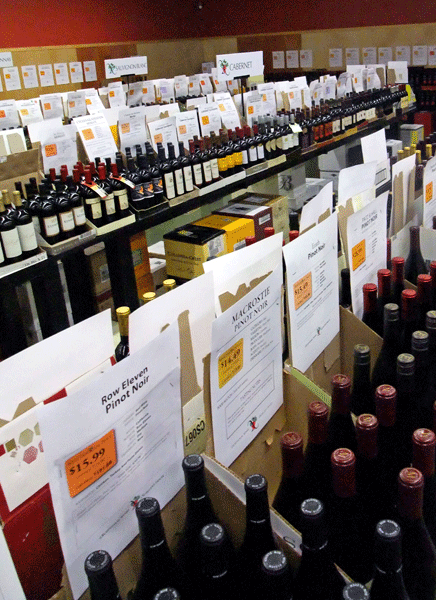 Unlike many wine stores, where the only information is a simple price tag or a glossy ad provided by the distributor, each and every wine here is informatively labeled. Uniform, well-designed signs listing price, origin, taste, and body of the wine take the mystery out of comparing vintages and make it easy to find new bottles to try. Sam and Tina are working on getting their inventory online; in the meantime, they will happily take orders over the phone to ensure the bottles you want are waiting for you on arrival. And if the idea of saké has piqued your interest, Sam is carrying a range of bottles, several half-sized, for you to investigate. You can also find a wealth of saké information, and if you scroll down a list of links, here on Rich’s site. We’re glad we took the time to venture off the beaten path this weekend, since it led us to discover both the world of saké and a great new place to shop for wine.